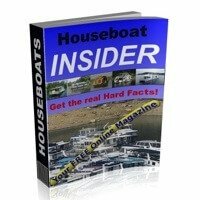 Houseboat Outboard Motors - remove replace diesel engines with outboards? 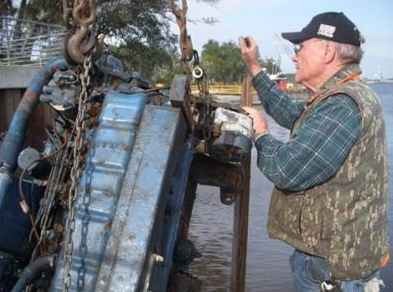 Houseboat Motors - remove replace diesel engines or outboards? Looking at houseboats with outboard motors, should I remove or replace the diesel engines with twin outboards. 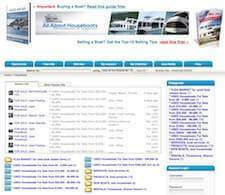 I'm glad I found this site, it was very helpful over the last 2 months while I was searching for a houseboat. I just purchased a 1971/1972 Whit-Craft houseboat, and she's in need of some TLC before I move aboard, but seems solid and I'm looking forward to making her my own. The boat will be used mainly as a residence, but I'm going to have to make a decision down the line about the propulsion or engine power. It currently has twin Perkins diesels (@160 hp each) that I was told may or may not run, and I won't be sad if they don't because I hate the smell of diesel and would love to have them removed asap if they are shot. I know these houseboats are heavy, high performance planing hulls and I would like to add a motor bracket and hang twin outboards. A few people I've talked to say it can't be done. I'm thinking 250 hp w/ 30" shafts and big props may work. I will be living on it, and would only need power occasionally. Well Scott, congratulations on buying yourself a houseboat, and good luck with any future projects. propulsion overhaul, or in your case, a major retrofit, you have to weigh all of the pros & cons. As to whether you can put twin 250 hp outboards on your boat, I am not sure. You likely can get away with dual 150 hp 4 stroke outboards. You would have to calculate the cost and labor involved in the project to see if it fits your budget. Your easiest and cheapest method would be to keep the Perkin diesels, and simply pressure wash the engine compartment to remove the majority of the diesel smell. Your next alternative if your diesels are shot would be to rebuild the Perkins to get them back to tip top working order. Either way you will have to look at how you want your boat to perform, do you want displacement speed, or do you want a planing hull? The faster that you want to go, the bigger and the more the engines cost, and so does the operating cost per hour etc... As you can see, there's a lot of homework to do first. Lastly, hopefully some of our readers and visitors will share and post comments about their houseboat outboards and diesel engine experiences. Feel free to use the "Click here to post comments." link found near the bottom of this page. 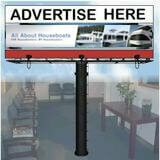 Comments for Houseboat Outboard Motors - remove replace diesel engines with outboards? I'm in the process of doing this now. I bought a 43' Nautaline with 2 gas burning Ford V-8's. I took them out and hung 2 150hp Johnson outboards on the back. I have a 50 Whitcraft houseboat that I am currently fitting with twin 115 Yamaha's. I have taken a different route from reinforcing the transom and opted for aluminum angle beams on the original engine beds and welding transom brackets on the beams once outside. There is 6 beams in total were used and I now have a HUGE swim platform. The boat is still under major renovation however with removing the weight from her stern area she definitely floats way higher even with the 250 gallon water tank I used to replace the Detroit diesels she had. I bought a 32 foot Sea Going houseboat. I need an outboard, thinking 70 to 90 HP. Can I get by with a 20 inch. How can I tell? The houseboat weights 10,500 lbs with a 318 and Dana out drives. I don't intend to cruise hundreds of miles with it. 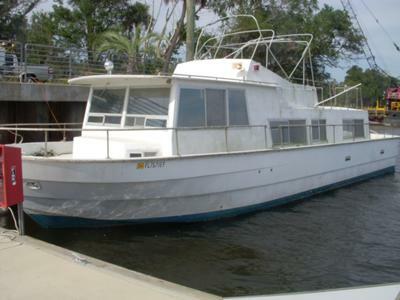 It was primarily purchased for a live aboard and occasionally cruise maybe 50 miles a month. I am not interested in speed so instead of trying to fix a burned out rusted motor and out drive I thought about retro fitting a bracket with a used 115 Johnson. If I can cruise 10 MPH I would be satisfied. Is this possible on this boat? I retro fitted a 26 foot Stamas with twin 200 Yamahas years ago and it was the best performing boat I ever had. Of COURSE You would like to replace the burned out diesels. This is not a long term cruising vessel. You have stated yourself it will be a short jaunt vessel. Therefore the fuel mileage argument is a non issue. ANY compartment housed engine will hold fumes. And do you know where those fumes will "waft" to? The sleeper berth, as always. The 4 stroke O/B's hanging off the back will NEVER give you this problem if the tanks are vented right. Hang two 4 stroke 150's off internally braced low x dimension jack plates and GO. When one gets "tired" (in 10 Years!) unbolt it ...and throw on a NEW one! Solve the power problem with a carry on ONAN. Wave "bye bye" to the dude sitting at the diesel marina when he gets the bills for his diesel rebuilds and bs annual "Maintenance Package". I would not do that. Keep your inboard engines. My attempt to replace the inboard engine with outboard, ended up in disaster. I had 28 feet Carver powerboat. The motor and transmission were bad, so I decided to replace with outboard. First, inboard powerboats and houseboats are not designed to carry heavy object on transom - paper thin fiberglass. You will have to reinforce the transom to about 2.5 inches - expensive. Brackets for heavy outboard will run few hundreds dollars. You will need long control cables - expensive too. I will never do that again. Suspect you sell outboards AND know little about real vessels. Per what I wrote (SCROLL DOWN) Gas Engines do NOT give dependable longevity, are fire hazards, explosions DO happen, Asphyxiation (sp) is real. Far far less upkeep on Diesels, No points, No plugs, No tune ups, Just change oil and go. WHY are trucks, tractors, military vehicles, ships, trains, etc. ALL DIESEL. ????? Change-over on balance could be real nightmare. Diesel or Gas in this case in a foolish question as only unknowing wannabee's would favor gas. Sell the perkins, replace with 150 hp Four stroke. 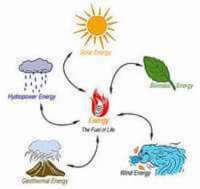 You now have same amount of power burn less fuel and five or six thousand hours of trouble free service. Gas is cheaper on the water. You dont need to run fast in your home. I'm in the same boat, no pun intended! I have a 1971 Whitcraft 45 with twin Chrysler 318s. They are heavy, loud, and expensive to run. Which they don't reliably. A rebuild on one is like 5k. And then I still have two huge gas engines that are 4 years old. Who can afford it for any distance? If you didn't want to plane out, wouldn't outboards be great? I have been asking for opinions on the crusierforums. And plan to post some specifics if I take the plunge. I think the Whitcraft 45' could be a great Long Range Cruiser (LRC) for inland lakes, the Loop, Bahamas, and coastal crusing. It's got the right draft, the right beam, and the right height. It has good lines, good tankage, great accomodations, heavy build quality. Granted its semi-displacement v-hull. I haven't got a good line drawing of underwater, but I'm working on that. The transom and build quality would allow smaller 4stroke outboards to mounted by bracket. The idea is not to get it on plane, but to cruise slow. Use the original twin 120 gal tanks to feed the outboards and genset. With the engines removed, I might even put a small motorcycle or scooter in the engine room. Crane it out on deck. Now you have a expedition vessel with a cargo hold...??? Hi, I live on a houseboat. In regards to your Perkins engines, diesel is twice as efficient as regular fuel because you will burn about 70% more fuel than diesel. We just got through doing a shrimp boat with an 871 two-stroke diesel that has been completely submerged over three times and has not run in over 25 years. Today this motor, without overhaul, runs like a brand new one. The point in this is that this diesel uses about one gallon of diesel fuel to go the same distance that it takes a boat using 20 gallons of gas to go the same distance. And that is much lighter on the pocket. Yes is the answer. My 72 Nautaline had gas engines, now has twin Yamaha 115hp 4 stroke. We added a tail board after replacing the transom. The gas consumption is 1/2 what the V8 used. As a senior I can change my own spark plugs myself with out going down in the tight fitting engine room which now houses a small chest freezer. Sorry I haven't updated lately, but happy there is interest in my project. I talked to the diesel mechanic last week and he sounded fairly optimistic that the Perkins can be rebuilt at a reasonable price. One engine had the glow plugs out when I bought her and some water got in it, so he's trying to unfreeze that one. The outdrives look good and I think (no joke) that I have propellers! I'll check when the water warms up. I thought I might be able to see them since she now sits bow heavy with the engines out, but not quite. I'm not in a big hurry on the engines, the budget is tight right now, so I've been working on the interior and doing some fiberglass work around the roof area. I have a fair amount of wet wood removed from around the windows and some spots in the roof and plan on replacing with new strips and insulating with Dow Blue insulation 1/2" - R3 glued to the fiberglass and then paneled over. Any input on that would be appreciated. I will post some new pics soon. Thanks Scott. Howdy Scott, guess by now, you would have made a decision to remove or stay-put with the diesel engines? 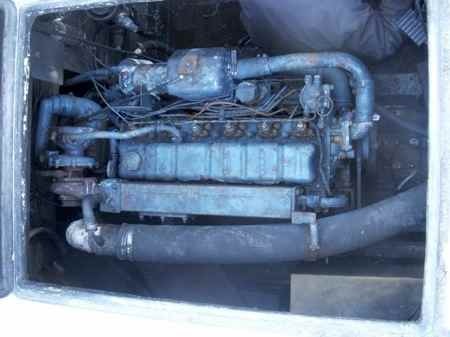 Would appreciate if you can attach more pictures of the engine area plus general layout of the houseboat so that we can appreciate its condition better for our futher comments if any. An interesting challenge ahead plus lots of personal satisfaction for you, as things get going forward ! !...my advise is ACT on your plans but do make a list of action items plus costing/budgeting in-order to keep track of events etc. Enjoy yourself buddy O.K. !!. Inboard vs outboard engine on houseboats. I live in Norway and have a houseboat equipped with an outboard engine, Johnson 90 HP. The only advantage with this type of engine is that it is easy to maneuver. I`d like much more to have an inboard engine, but the cost would be too high for me. So I advise you to keep your Perkins, then you have the advantage of high charging capability for the batteries, and you also have the possibility of getting hot water for washing and heating in a simple way. I just wanted to post an update on my Whit-Craft/Perkins diesel project. I was fortunate enough to find a qualified mechanic, Merl, who helped me remove both engines and thinks at least 1 might be rebuildable. He is going to start looking around for parts and isn't charging me an arm and a leg. I'm not in a big hurry to repower as it will be used as a liveaboard first and foremost. Now I have time to clean the bilge, check wiring (wiring looks pretty good) and do all the other interior work. As far as the interior goes there was a small amount of "blackwood" that is being removed. I don't mind so much because now I can redo it the way I want to. I found the source of the water intrusion around the eyebrow and have started repairing that. Here are the pics of the engine removal as well as some misc. interior pics. It ain't pretty, but it might just help the next person who buys an old Whit-Craft. I will say this, the stringers are rock solid and she's built like a brick-sh*t-house. I have had numerous vessels, even lived aboard and traveled for 6 years. 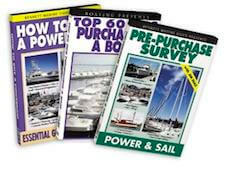 I am a Licensed Captain and also a formally trained Marine Surveyor which I went to school when over 55 yers of age just for the fact that I had a lot of questions and wanted to be my own counsel. I was switching from Sail after 29 years to Power and needed to REALLY learn. It paid off and I found AAA 43 foot yacht. I only wrote all the above so my words might have a bit more heft than just another opinion. First, If Mr Diesel had not been murdered we would all be driving diesels in cars as well as boats. They are amazing in very very low maintenance, fuel usage, longevity, lower insurance costs, etc. KEEP the Diesels you have. Be very careful who you listen to on getting them in shape. There should be NO odor from your diesels! Maybe you refer to smelling a passing truck, but diesels do not smell and are 1000% more safe ... no explosions, etc. by the way, why do all trucking industry, buses, military ships, etc. all use diesel? No points, no plugs, no tune-ups, just change oil and go. Could write a book on why YES for Diesels, in fact many written. Lastly, you have a bunch of work to do to figure the balance, etc., changes if you go outboards. A lot of problems you do not realize. You don't just yank the Diesels and drop in Outboards. I have never owned a diesel engine, so my knowledge is limited to one thing: diesel fumes don't form an explosive mixture with air. Gas fumes do. Wow, thank you all for your valuable insight and opinions. I always go out of my way to help others when I can and appreciate when the help is returned. Engines are Perkins T6-354-M'S. They look rough but we'll know for sure soon. Thanks again for your help and I will try to post as many pics as I can. Scott,,, Gee, most of us would prefer the inboard diesel but get it properly serviced, you will learn to love it in time! Unless, your houseboat were designed for outboards, may I suggest that you hold-on with its original design. I have worked with both types of engines and really, my preference would be on diesel, they are far more reliable in the long run. The latest 4 stroke outboards can be expensive and unless utilized often enough, it will just go to waste. Smell of diesel vs petrol ?..its petrol that will harm you more/most too. Plus more dangerous with regards to fire hazard. I have a nice pair of GM 427's that are running great but I want diesels. Particularly Perkins if at all possible. I'd prefer a set out of a Carri Craft, however, a rebuildable set with bell housings for Velvet-Drive transmissions are acceptable. Any inline engines would give me much more working room in the engine room than what I have now. These engines are very close on both sides and are very hard to get to when manifolds, plugs and several other repairs are required. Economy is much better with diesels. I don't run hard nor do we run open water in questionable weather. 95% of our travels are along the ICW and inland rivers. Most of the ICW and rivers have a 6 knot limit so running 427's puting out 650 HP is a bit over powered for us. This spring we are heading up the ICW to the Chesapeake Bay for the summer before returning to south Florida next fall. With over 3,500 miles to travel before returning to this slip next year we will need all the economy we can get. Next month we are heading to the Keys for the winter and will head north around late March. We'll run the inside at about 5 or 6 knots and will be in no hurry. Travel a few days - anchor a few days or a week before moving on. We figure on getting to Norfolk sometime around May. Like I said, NO HURRY. For this reason we are considering diesels to replace these high powered monsters. Yes, I know there are times when you need massive power. A stretch along Jacksonville going south comes to mind. So does the entrance to Fairley Creek on the Chesapeake. Very high speed currents are in several areas but if you watch the tides and are not in any particular hurry currents and head waters can be delt with even with lesser powered boats. A pair of 120 or 160 horse diesels has more appeal to me than these 325 HP 427's. We have a houseboat here at this marina with a pair of outboards on it. It runs around the area and seems to have ample power. I believe they are 150 HP Suzuki's and the houseboat is a 50 footer. The only problem I see is that outboards tend to devalue a houseboat. Inboards hold a better value. You can buy the one here with the outboards for around $15,000. I was talking with the owner yesterday at a cookout and he mentioned he wanted to trade it for a sailboat. He had a guy with a 45 footer considering a trade deal. Anyhow, that is just my opinion. Others may have problems with outboards, some are against gasoline engines for safety reasons and some are against diesels. If we were all alike it would be a boring world. Good luck. See you out on the water. What you have is what is considered by most, a classic. You are VERY lucky to have found a rare example with diesels. Perkins are very reliable and recognized worldwide. It would be a travesty to remove the diesels and install outboards. It would also totally destroy the value of a premium houseboat. You would lose 50% of its value. 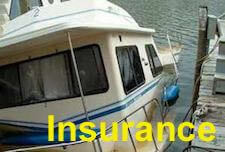 We have owned diesel boats for many years and never allowed fuel leaks to exist and cause odor. You would be way ahead of the game to restore this classic to its original state, sell it and buy a gas boat. You are truly in the minority as most people would give their left arm to have the boat you have with diesels. How is your project coming along? Since I don't know when the original article was written I could be responding on this years after it was written. I am in the process of fabricating up braces and brackets to support a single outboard. I have made support braces that will beef up the inside transom wall area and a box-like structure to actually hold the motor on. It has been a very time consuming and expensive job that is taking much longer than expected and it's not done yet. I hope that when it is all done it will have proven to be a good way to go. I would love to hear how your coming along. Please type the date in the title so I know when you wrote. Roger from Mt. Dora, Fl.